Where the magic starts. We brew on a 3.5 barrel brewhouse. Made of stainless steel and customized to give us the flexibility to make small, hand crafted batches of delicious wort. We have worked with our manufacturers and our own in house engineering to make a system that is as beautiful as it is functional. Where the yeast takes over. 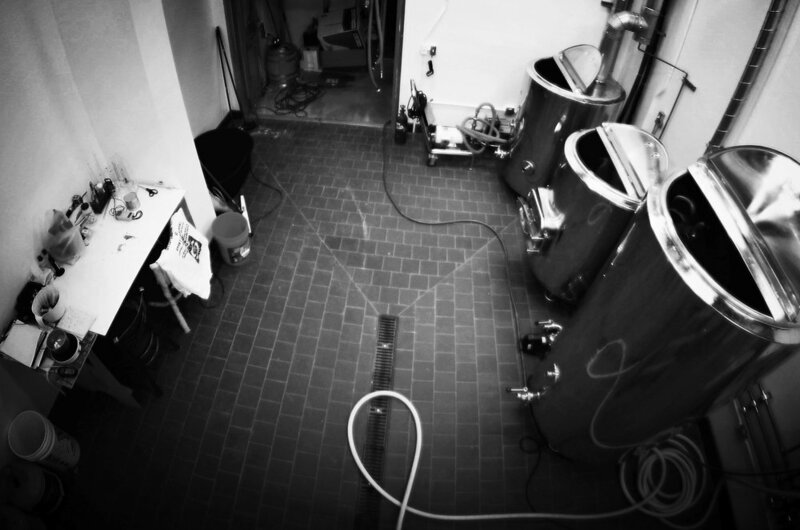 Our fermentation leverages some of the traditional brewing methods. Using 75 gallon stainless steel barrels, we can split our batches to make 2 different beers from one brew. This not only gives you the opportunity to have more choices, but also to taste the nuance that different yeast and dry hop additions can have. Where you enjoy the results. Our custom draft system, that is partially housed in our basement, will provide you with a delicious glass of beer, presented to you by our amazing wait staff in specially selected glassware to maximize your beer tasting experience. We run things a little different at our house, and we think you'll love it. Stop by today! Can’t make it to the tap room? We currently have our beer at the following retailers! We can’t tell if they still have us on at the moment, but they might have something soon. Are you a bar or restaurant owner? Want Oracle on tap at your place? Discounts on beer to go and Oracle merch.